Social scientists have looked at how people feel about their yards, and their research shows that preferences are determined mostly by people’s desire to fit in with the neighbors. 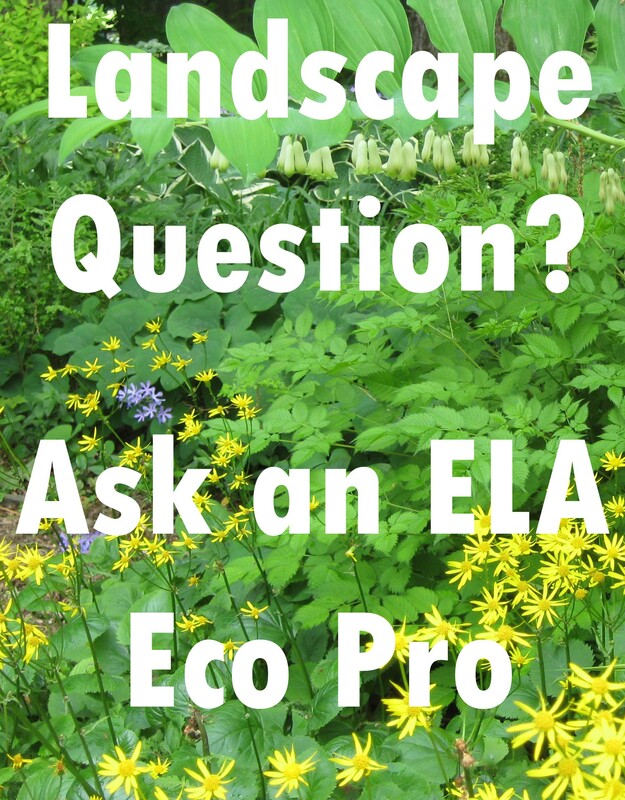 Unfortunately, native plants have developed something of a bad rap among homeowners as messy and hard to manage plants that do not fit in with the neighborhood, especially for those with a smaller yard. But there are many beautiful natives that compliment a residential yard and also provide ecological benefits. Lehigh Gap Nature Center, located in Slatington, Pennsylvania, has developed a practical native plant garden guidebook for residents. The guide features native plants that will work well for the resident with the small yard and provides practical examples for how to include native plants in the landscape that look nice, are easy to care for, and also support the local ecology. Guidance on flower garden design for the small yard, including nine different design templates that can be used as is or modified. Home gardens should suit personal tastes and lifestyle, but sometimes people need a starting point. For those new to native plants, we suggest starting small by introducing a few natives over time, which is both economical and allows a person to get to know each plant well. We also recommend more informal, curved garden edges since they are easier to maintain over time. Another pointer: keep things simple by planting swaths of a few different plants and colors together. The results often look better than when a lot of different things are mixed together at once. Each design template is overlaid on a grid that can be expanded or contracted to meet the dimensions of a person’s garden area. Recommended spacing between plants is shown as dots on the templates. 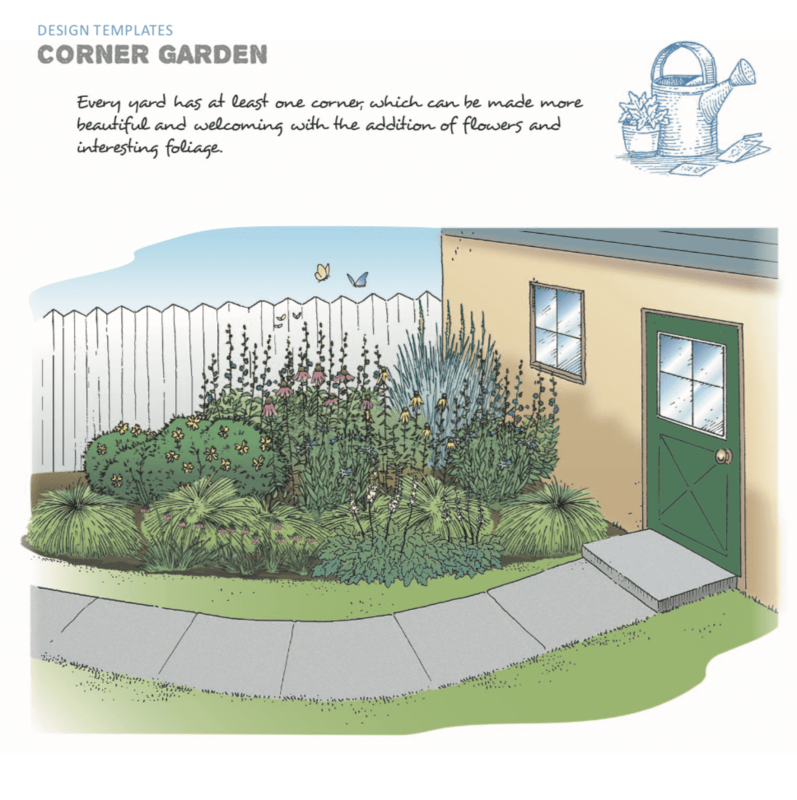 The Corner Garden design is one of the templates offered in Native Plants for the Small Yard. 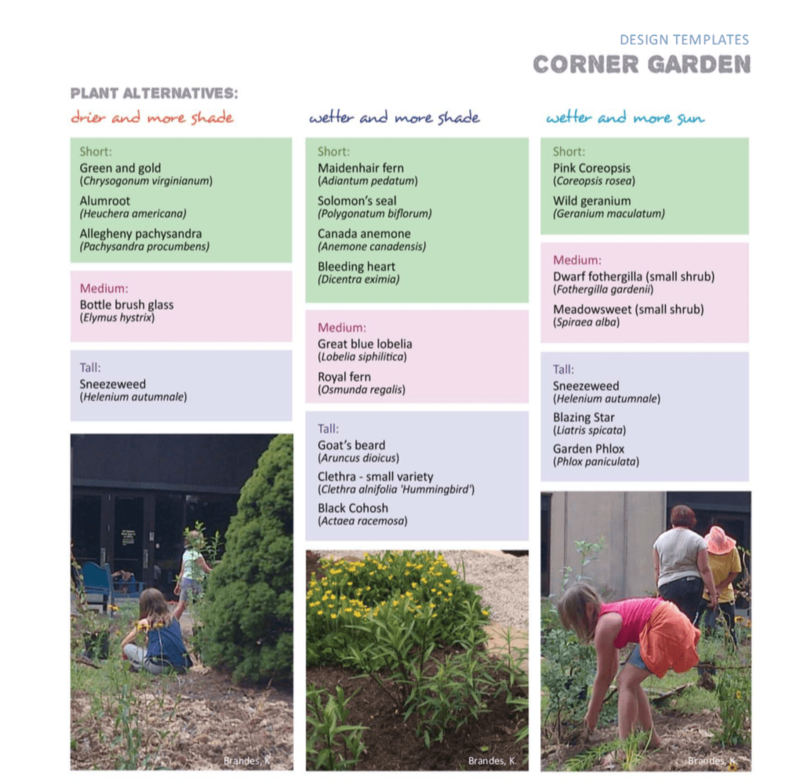 Each garden template includes a design plan. The Guide also offers suggestions for plant alternatives to accommodate varying site conditions (sunlight and moisture). 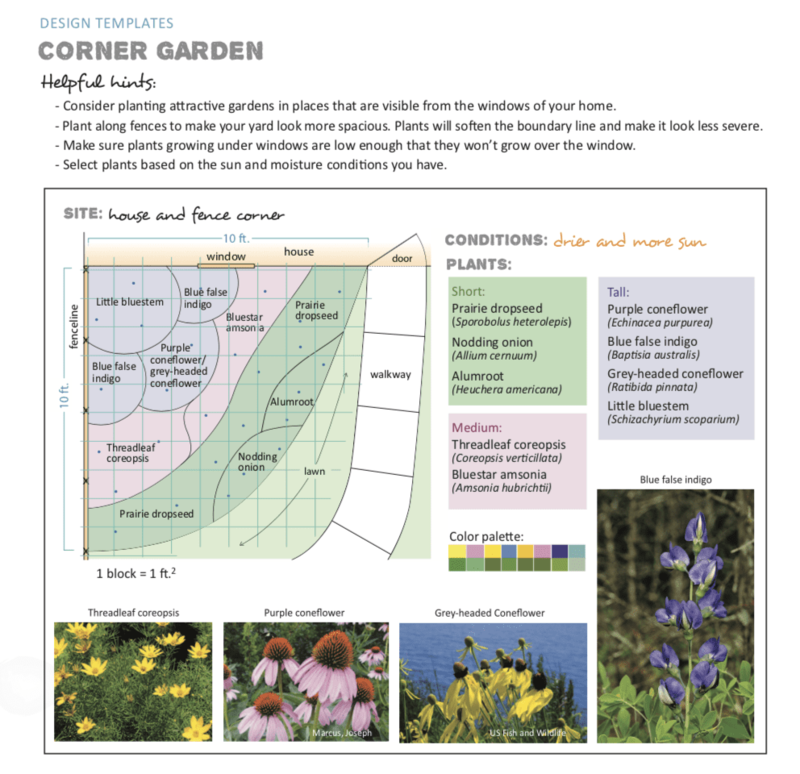 The downloadable version of Native Plants for the Small Yard contains all nine design templates as well as other gardening information pertinent to native plants. It’s available for free here. Private yards collectively comprise the largest green space in most cities and provide great potential for increasing wildlife friendly, native plant habitat. Native plants in the yards can be beautiful year-round and a good design allows natives to fit into any residential landscape. 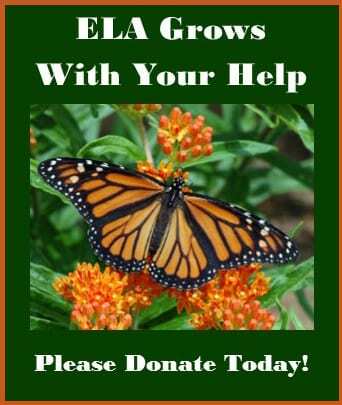 LGNC’s Landscaping for Communities and Wildlife Program was generously funded by the Lehigh Valley Community Foundation. This project was also completed in partnership with the Lehigh Valley Greenways Conservation Landscape. 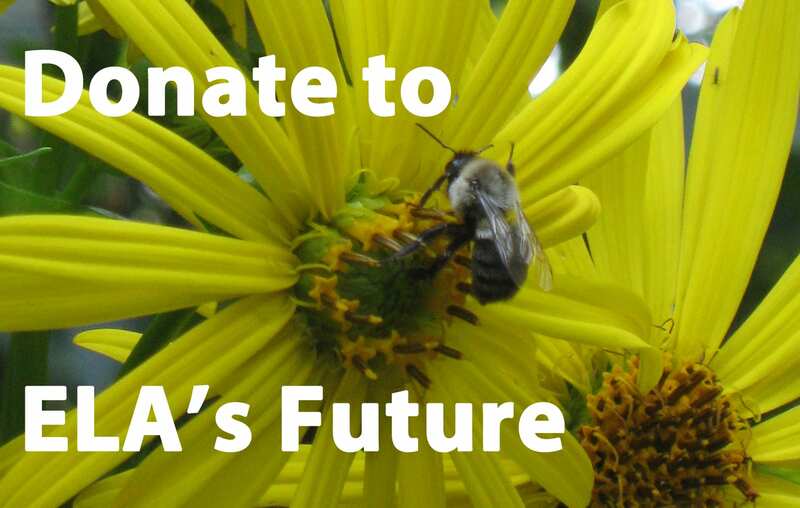 Funding was provided in part by a grant from the Pennsylvania Department of Conservation and Natural Resources, Bureau of Recreation and Conservation, Environmental Stewardship Fund, administered by Delaware & Lehigh National Heritage Corridor. Kate Brandes is manager of the Landscaping for Communities and Wildlife Program at Lehigh Gap Nature Center in Slatington, Pennsylvania. She’s worked as a geologist and environmental scientist for more than twenty years. 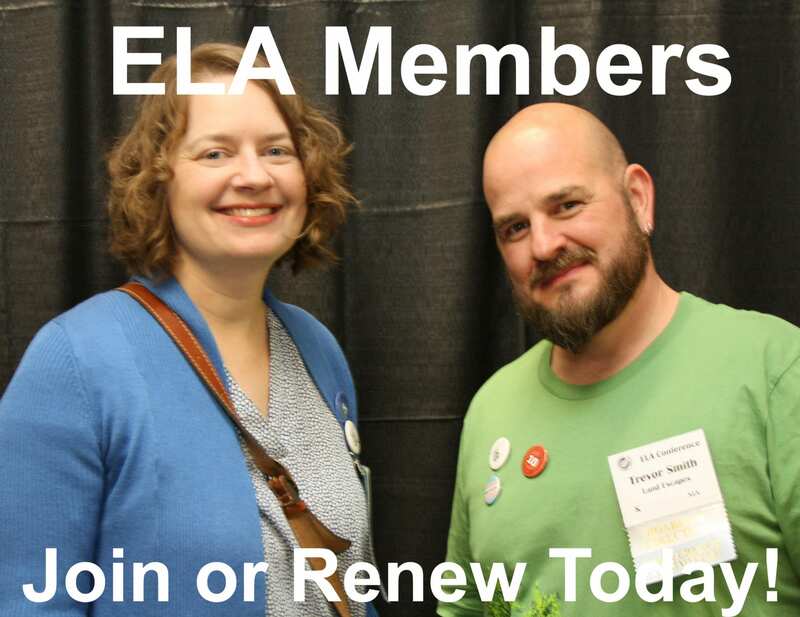 She’s been a master gardener through the Penn State Extension Program for over 15 years and she’s a member of the Ecological Landscape Alliance. She’s also a fiction writer interested in local confluences of people, place, and nature.